13) Best Booze Cruise: Can you afford a beer? Then you can afford a booze cruise…on the Staten Island Ferry. 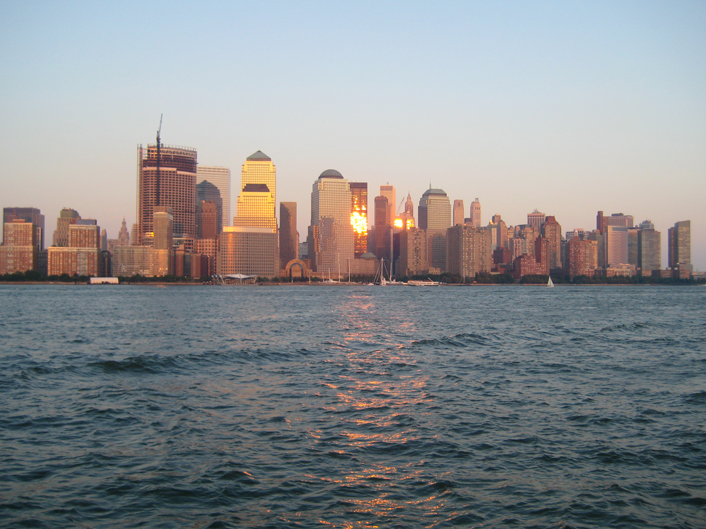 Get your ghetto on by taking this free “cruise” roundtrip from lower Manhattan to Staten Island (you’ll have to get off and get back on again for the return trip, but it’s worth it for a free ride). Lady Liberty is poised, the view of lower Manhattan is sublime, and the beer is cheap, most under $5. Plan an evening trip and the sunset will blow you away. 14) Best Sidewalk Seating: I don’t dislike sidewalk seating, per se. When done well, the tables don’t shake, car stereos don’t drown out your conversation, those waiting for a table don’t stare down your lunch, and the people-watching is unsurpassed. The sidewalk tables at Esperanto, overlooking a giant weeping willow tree on Avenue C and the crackheads (or these days, hipsters) who frequent the avenue, meet all my exacting requirements. The food ain’t bad either, with authentic Brazilian specialties like feijoada and the ultra-addictive pao de queijo. A few orders of the cheesy cassava-flour rolls will balance out all the caipirinhas. 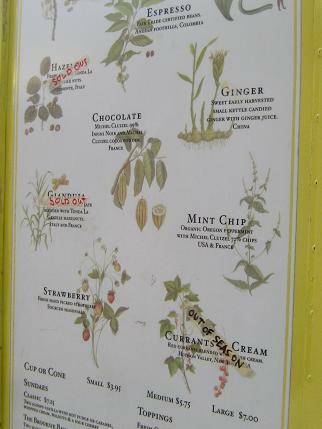 15) Best Ice Cream to Lick While You Walk Around the Park: Brooklynites know that Frederick Law Olmsted was just practicing when he designed Central Park. His real masterpiece is Prospect Park, the 580-acre plot of fields, forests and waterways in which visitors run, bike, tan, play baseball and picnic. Linking Park Slope, Crown Heights, Windsor Terrace and other neighborhoods, the park is a central hub on the weekends, with visitors from the Brooklyn Museum, Botanic Garden and Prospect Park Zoo all making their way down its winding pathways. My favorite way in lies through Park Slope, where the Van Leeuwen ice cream truck can usually be found parked on 7th Avenue near Union Street. The brothers Van Leeuwen use only fresh (and local) milk, cream and eggs for their ice cream, which comes in refreshingly simple flavors like hazelnut, pistachio, red current and peppermint chip. Grab two scoops and saunter down to the park, then lie in the grass and watch the clouds drift by. Van Leeuwen Ice Cream Truck: Check their latest truck locations (Brooklyn and Manhattan) via their Twitter feed. 16) Best Scene and Be Seen Hotel Bar: Once referred to as the “less literary Waverly Inn”, Gemma at the Bowery Hotel is dramatic and slightly Gothic inside, and offers awesome sidewalk seating that gets sun drenched come lunch. Gemma is especially popular with brunchers, West Coast-ers, and people named Agyness and Lindsay. Bring your darkest shades so you can people-watch over mimosas and French toast. 17) Best Imagine-You’re-In-Maine Date: For a truly maritime experience without any of the driving through New England, pick up the Water Taxi (specifically, the Ikea Express) from Pier 11 and enjoy a short but romantic boat ride to Brooklyn (Statue of Liberty view included). On Friday and Saturday nights, you can catch the sunset and still arrive in Red Hook in time for the weekend lobster at Rocky Sullivan’s. These casual dinners are sponsored by the Red Hook Lobster Pound, a nearby storefront and husband-and-wife team that does all the driving for you, making a weekly round-trip run to Maine for fresh lobster. 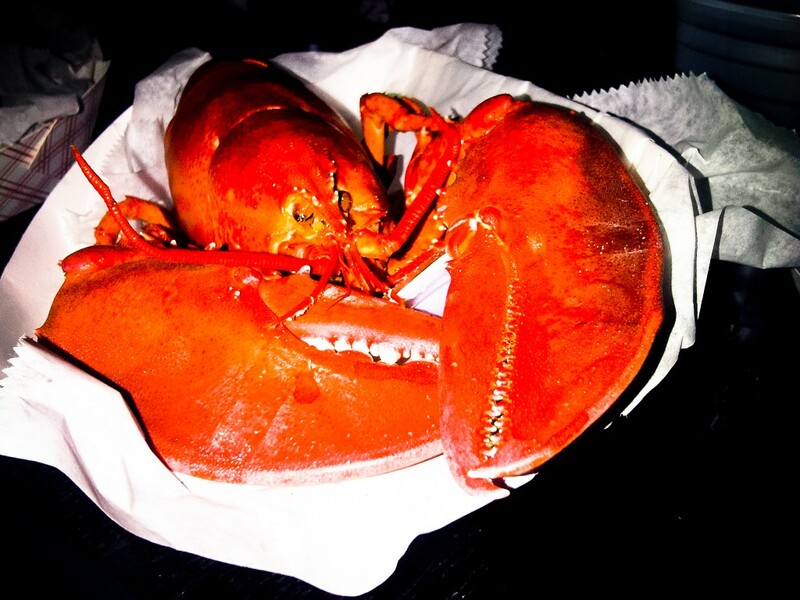 At their weekend feasts, $25 nets you a sweet 1 ½ pound steamed lobster, two sides, melted butter for dipping and a dessert. Order a pitcher of Sixpoint Brownstone Ale and sit on the roof under the stars; since there’s no view anyway, it’s not hard to pretend you’re in the Pine Tree State. Follow your meal with a Oaxaca Old Fashioned and other fabulous cocktails at Fort Defiance (sadly, no outdoor seating). Red Hook Lobster Pound: 284 Van Brunt Street (between Visitation Place and Verona Street), Brooklyn. Call ahead if you’d like to reserve a lobster to cook at home. 18) Best Pizza & Ice Pops: On Saturdays, the Brooklyn Flea takes over a Fort Greene schoolyard and floods it with vintage clothing, antique furniture, old prints, typewriters, costume jewelry, knick-knacks, doo-dads, tchotchkes and junk. Craft vendors also hawk newer items, and vendors like McClure’s sell pickles, chocolates, cookies and granola. But to party like it’s elementary school, go for a luscious personal margherita pizza from Pizza Moto and for dessert, the day’s special from People’s Pops. 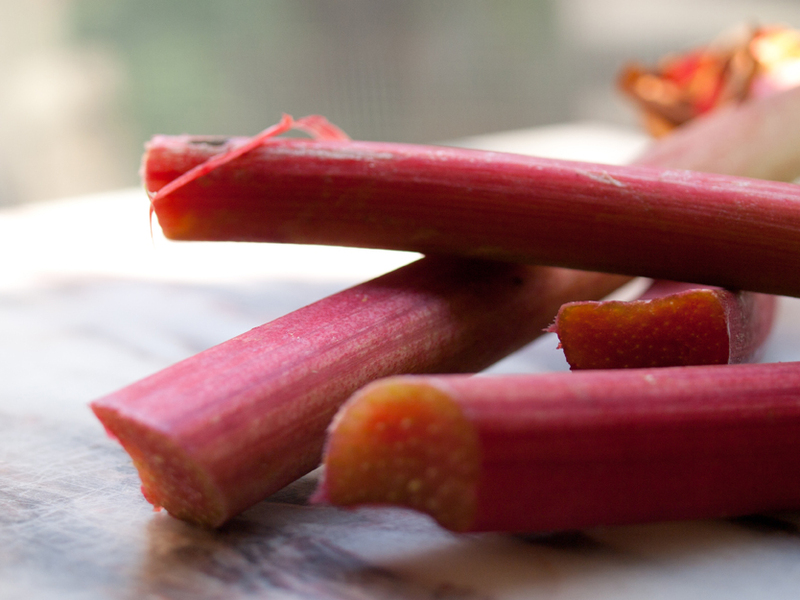 With seasonal flavors like rhubarb-ginger, blackberry and sour cherry-plum, this ain’t your mamma’s ice pop. Brooklyn Flea: 176 Lafayette Avenue (between Vanderbilt and Claremont Avenues), Brooklyn. Saturdays only; Sundays inside at the Williamsburg Bank. Pizza Moto and People’s Pops: At the Brooklyn Flea; check out other People’s Pops locations on their website. 19) Best Street Food Shopping Break: I don’t know about you, but shopping, even window shopping, makes me extremely hungry. All that dawdling, considering, squinting, squeezing, buttoning, zippering, debating and popping in and out of opened doors is as appetite-inducing as a spinning class. When I’m out in SoHo, there’s no doubt about where I’m headed for a quick street-food lunch. Parked outside the Camper store on Prince, the Calexico truck serves freshly-made carne asada tacos and sinfully delicious chipotle pork quesadillas with plenty of crema. If the line is long, just place your order and shop till the food is ready, then find a stoop and stuff yourself silly. 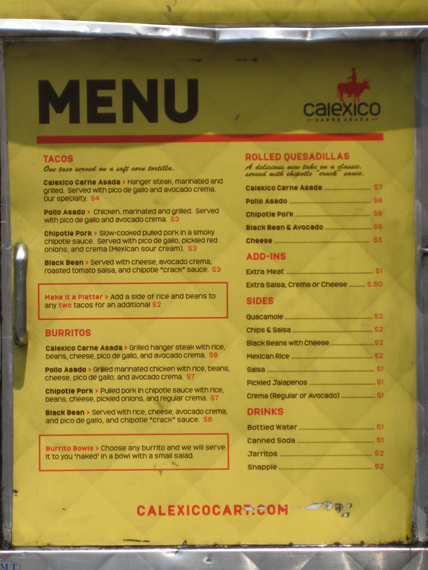 Calexico Cart: Two truck locations, at the corner of Prince Street and Wooster Street and at the corner of Crosby Street and Broome Street, Manhattan. Check current specials on Twitter. 20) Best Pick-up Bar: If you didn’t manage to catch a date at Bohemian Hall or the Biergarten at the Standard Hotel, head to the back courtyard at Sweet & Vicious in SoHo, where relatively cheap drinks and an above-average crowd converge. On weekdays, pick up a pizza, grab some beer and stake out the outdoor benches for a low-key happy hour; on weekend nights, go early to snag a spot, a Mason jar margarita and a potential future date as the courtyard closes by midnight. 21) Best Food Market to Snack While you Grocery Shop: There are lots of great markets in this city (see: Union Square Greenmarket, Grand Army Plaza Greenmarket, Tompkins Square Park Greenmarket…) but the New Amsterdam Market (which opened for the season on June 27th) at South Street Seaport is one of a kind. Unlike the Greenmarkets, which focus mostly on local produce, the New Amsterdam market features many prepared-foods vendors from a wider (but still local!) area. This year, look for Bellweather Hard Cider (from upstate New York), Berkshire Cheese (blue cheese from Massachusetts), Hudson Valley Duck Farm (humanely produced foie gras), Port Clyde’s Fisherman’s Co-Op (sustainably-harvested Maine seafood), and the Queens County Farm Museum (the only “historical working farm” in the city, which will be selling super-local honey). Market dates are spotty for now, but will be a regular Sunday occurrence come September. 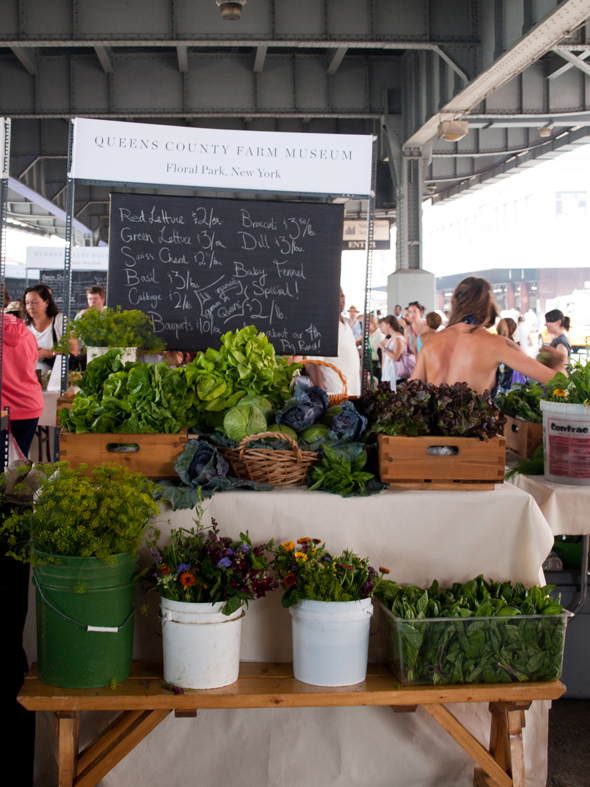 Meanwhile, the original Greenmarket is continually expanding, with a new Hester Street location open as of June 20th. New Amsterdam Market: South Street (between Beekman Street and Peck Slip, Manhattan. Check their website for 2010 market dates. Hester Street Greenmarket: Essex Street (at Hester Street), Manhattan. Sundays. 22) Best Urban Farm: It’s chic. It’s seasonal. Barack took Michelle there. 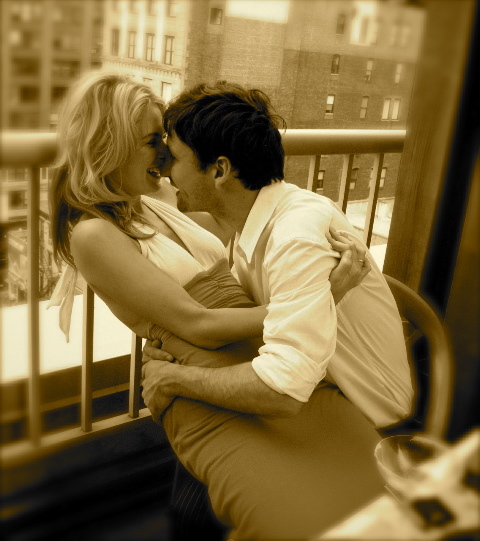 What could be more romantic than Blue Hill? Easy…Blue Hill at Stone Barns. Though there’s no outdoor seating per se, you can spend your whole day touring the farm. When you’re tanned and spent, head inside with a very special someone to the sedate stone dining room for the delectable fruit of your (or at least, someone’s) labor. If a cheaper, closer, much more urban farm experience is what you crave, just train it out to Bushwick for $4 beers and perfect pizza pies at Roberta’s. Located in a former garage among the many warehouses in this outermost stretch of hipsterdom, Roberta’s garden oasis grows much of their own produce and offers a tiki bar, performance space and picnic tables that cater to large parties. 23) Best Way to Shake it Up: How do you improve upon a milkshake and a park bench? With a caramel milkshake and a bench in the lush, flower-filled Shakespeare Garden in Central Park. Pick up a milkshake in one of six flavors (plus malted) from the Shake Shack on Columbus, and head to the park with your favorite magazine for a long afternoon. Or for even more shake-ery, go early and line up at the Delacorte Theater for tickets to the evening’s Shakepeare in the Park performance. This summer, Al Pacino stars as Shylock in The Merchant of Venice. 24) Best Outer-Borough Street Feast: Out in Brooklyn, 3rd Ward is known for many things: their photo studios; screen printing, furniture design, and welding classes; art installations; their magazine based on local artists; and the free bikes they give out to members. What they have not been known for is food—until now. Last month, the GOODS Food Truck opened in a 1946 silver bullet trailer, and is now serving up breakfast, lunch and dinner for locals and hungry travelers. Given the Williamsburg penchant for comfort food, it’s no wonder that the menu includes Pat La Frieda burgers, Brooklyn Lager-battered fish and chips and sausage-egg-and-biscuit breakfast sandwiches. Chef Alex McCrery is formerly of New Orleans’ Commander’s Palace, and beignets are also on the drool-inducing list. 25) Best Pretend-You’re-a-Millionaire Evening: Most of us don’t have outdoor space or the luxe patio furniture to adorn it, but all of us have rooftops! Granted, rooftop access is typically illegal in this town, but so are pets and sublets, and we do it anyway. All you really need are a few tall candle jars or lanterns to light your way, a blanket and pillows, or maybe a card table and chairs if you’re fancy (thank goodness for Ikea), and dining al fresco can be yours in a matter of minutes. With a bottle of bubbly and a cheese tray or two, you and the Donald could be sharing a view. Rooftop: Upstairs from your apartment. 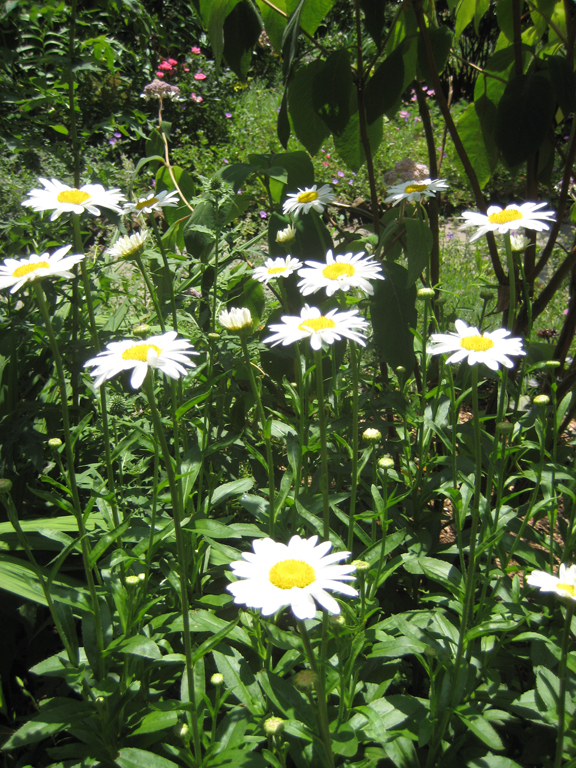 To read Part I of my guide to Outdoor Edibles click here. I’m not sure where you are getting your info, however very good subject. I should take the time learning more or understanding more. Thanks for great information I was looking for this information for my mission.